We know planning legislation can be very overwhelming at times. With this in mind we have compiled clear and in-depth articles on many common household projects to help you navigate through the jargon and heaps of legislation. We hope you find the information useful. If you would like a free feasibility assessment on your particular project, call us on 0208 202 3665 to talk to one of our expert consultants. Alternatively, you may send us a quick enquiry. If you are converting an existing residential cellar or basement into habitable space, it will most likely not require planning permission. However, if you are excavating and creating a new basement and intend to use it as habitable space it will likely require full planning permission. This is because you will need to incorporate additional excavation beyond the original boundaries of the house to create light wells as required by building regulations. 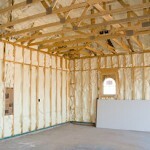 If the intended use for your basement is solely for storage purposes, it will fall under your Permitted Development rights subject to the proposals meeting certain requirements. For more information on all matters relating to planning permission for basements, including case studies of similar projects, please see our dedicated basement planning permission page. Whether or not you require planning permission for a conservatory will mostly depend on whether your proposals fall within your permitted development (PD) rights. 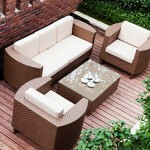 These allow you to build a conservatory without planning permission, subject to meeting several conditions. Should the conservatory be within your PD rights, you are advised to submit an application for a certificate of lawfulness to regularize the conservatory. 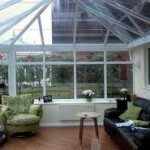 Other factors that may affect whether you need planning permission for a conservatory are if the property is a flat or maisonette, a listed building or located in a conservation area. To find out more on planning permission for conservatories, including case studies of similar projects, please follow the link to our dedicated conservatory page. In most cases installing decking or other raised platforms in your garden falls under Permitted Development and does not require planning permission. There are certain size and height restrictions for decking, which will need full planning permission if they are exceeded. Other factors that may affect whether you need planning permission for decking are if the property is a flat or maisonette, a listed building or located in a conservation area. To find out more details on decking, including case studies of similar projects, please follow the link to our dedicated decking page. 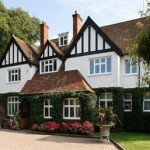 In general, changes to doors and windows, such as repairs or replacements, do not require planning permission. However if your property is a listed building or located in a conservation area it may require full planning permission to ensure that your proposals retain the character and historical significance of the area or building. To find out more details about planning permission for doors and windows, including case studies of similar projects, please follow the link to our dedicated doors and windows page. Whether or not you require planning permission for an extension will mostly depend on whether your proposals fall within your permitted development rights. 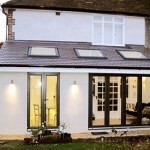 These allow you to build an extension without planning permission, subject to meeting several conditions. In the event your do not require full planning permission, it is strongly recommended to apply for a certificate of lawfulness to ensure the extension meets the relevant regulations. Other factors that may affect whether you need planning permission for an extension are if the property is a flat or maisonette, a listed building or located in a conservation area. To find out more details on extensions, including case studies of similar projects, please follow the link to our dedicated extension page. 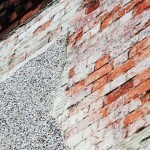 Planning Permission is not normally required for minor improvements, maintenance or repairs to external walls of a house. However, if your property is located within a conservation area or is a listed building, you may need the relevant consent before carrying out any works. For more information relating to external walls, including case studies of similar projects, please see our dedicated external walls page. If you are repairing or removing an existing gate, fence or wall you will not require planning permission if you do not increase the height. 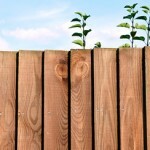 If you are proposing to erect a new gate, fence or wall you may need to apply for planning permission if it exceeds a certain height or if you do not have the relevant rights. Other factors that may affect whether you need planning permission for fences, gates and garden walls are if the property is a flat or maisonette, a listed building or located in a conservation area. To find out more details about fences, gates and garden walls please follow the link to our dedicated fences, gates and garden walls page. Projects that would normally fall under permitted development not requiring planning permission do not apply to flats and maisonettes. 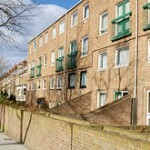 This means that for any works to a flat or maisonette, a full planning application is normally required. To find out more details on planning permission for flats and maisonettes please follow the link to our dedicated flats and maisonettes planning permission page. Converting a garage to habitable space does not normally require planning permission, providing the works carried out is only internal and does not involve any enlargements to the garage. If you are proposing any external work or to expand the size of the garage you will need full planning permission. At any rate, it is strongly advised to apply for a certificate of lawfulness to regulate to the garage conversion and ensure that it is lawful. For more information on planning permission for garage conversions, including case studies of similar projects we have carried out, please see our dedicated garage conversion planning permission page. 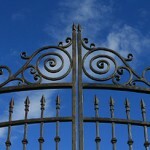 Gate ornaments fall under the category of other forms of enclosure i.e fences, gates and garden walls. To find out whether you will need planning permission for your gate ornaments, either see our dedicated page for Fences, Gates and Garden Walls or click on the link to our dedicated gate ornaments page. 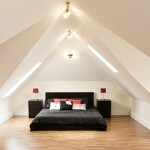 Many loft conversions do not require full planning permission. However, whether or not your loft conversion will require planning permission will mostly depend on whether your proposals fall within your Permitted Development rights. These rights allow you to carry out a loft conversion on your property without planning permission, providing that the design meets several conditions. These include a limit on new habitable space created and the size of the dormers, etc. Other factors that may affect whether you need planning permission for a loft conversion are if the property is a flat or maisonette, a listed building or located in a conservation area. At any rate it is always advised to apply for a Certificate of Lawfulness to ensure your loft conversion/extension is lawful. To find out more details about a planning permission for loft conversion, please follow the link to our dedicated loft conversion planning permission page. Whether or not you require planning permission for an outbuilding or summer house will mostly depend on whether your proposals fall within your permitted development rights. These allow you to build an outbuilding on your property without planning permission subject to meeting several conditions. Other factors that may affect whether you need planning permission for an outbuilding are if the property is a flat or maisonette, a listed building or located in a conservation area. To find out more details outbuildings please follow the link to our dedicated outbuildings page. Covering an area with a hard surface at ground level on your patio or driveway would not normally require planning permission. However if your proposals require significant embanking or support work for a hard surface will require planning permission. If the property is a listed building or located within a conservation area, planning permission will be necessary prior to commencing any works on the patio or driveway. 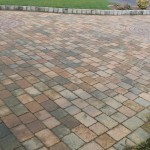 To find out if you need planning permission for your patio or driveway, please see our dedicated patio and driveway page. 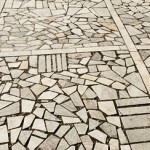 Paving your front garden with a porous surface which allows rainwater to drain through or is naturally directed towards a lawn or border will not normally require planning permission. If you are proposing to cover more than 5 metres of your front garden with a hard (non-porous) surface which does not allow the water to run naturally, you will need planning permission. Other factors that will require you to obtain full planning permission are if your property is situated in a conservation area or is of historical interest (listed building). To find out if you need planning permission to pave your front garden, please see our dedicated Paving Your Front Garden page. 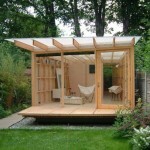 The majority of porches do not require planning permission. However, whether or not you require planning permission for a porch will mostly depend on whether your proposals fall within your permitted development rights. These allow you to build an outbuilding on your property without planning permission subject to meeting several conditions. Other factors that may affect whether you need planning permission for a porch are if the property is a flat or maisonette, a listed building or located in a conservation area. To find out more whether you will require planning permission for your front porch please follow the link to our dedicated porch planning permission page. Under normal circumstances you will not need to apply for planning permission to replace an existing roof or to add roof lights or skylights such as velux windows. However, there are certain alterations that would require you to apply for full Planning Permission, such as height restrictions and overlooking issues. Other factors that may affect whether you need planning permission for alteration to your roof are if the property is a flat or maisonette, a listed building or located in a conservation area. 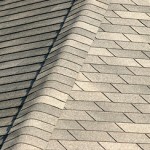 For further information on roofs and to find out if you need planning permission for work to your roof, please see our dedicated roof page. 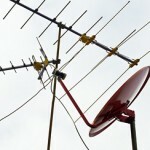 There is a possibility that you would need planning permission for satellite, TV and radio antennas. This will mostly depend on whether your proposals for a satellite, TV or radio antenna falls within your permitted development rights. These allow you to erect certain satellite, TV and radio antennas on your property without planning permission, subject to several conditions being met. Other factors that may affect whether you need planning permission for satellite, TV and radio antennas are if the property is a flat or maisonette, a listed building or located in a conservation area. To find out more details satellite, TV and radio antennas please follow the link to our dedicated satellite, TV and radio antennas page. In most instances mounting solar panels to your roof or wall will fall within your permitted development rights, not requiring an application for planning permission. 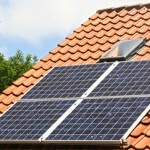 However, there are several conditions and restrictions that apply to solar panels. In addition, if your property is of special historical interest (listed building) or located within a conservation area, you will need full planning permission for solar panels. For more information on the policies relating to planning permission for solar panels and to find out if you need planning permission for your solar panels, please see our dedicated solar panels planning permission page. 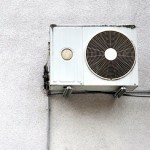 Installing air conditioning units on residential premises may or may not require planning permission depending on its positioning and the location of the property. Planning permission will almost certainly be required if the changes to the external elevation is visible from the highway. For more information on planning permission for air conditioning, including case studies, please see our dedicated planning for air conditioning page. Before any type of extension or conversion can be built in London, one of the first questions that property owners need to ask themselves is do I need planning permission. There are many factors can affect a home owners chances of gaining the approval to erect an extension or any form of development around your property. therefore it is essential to determine whether you need planning permission prior to instructing builders to commence building works to your property. Your neighbors, the design of the structure, nature and wildlife, environmental health, as well as the roads and highways close to your residence as all things that will be taken into consideration before your plans can be approved. Asking yourself Do I need planning permission for my extension or indeed whether you need to submit a planning application for a loft conversion can save you from untold hassle and costs in the future. Even though there are certain types of structures and additions that can be made to your residence that do not require planning approval, it is always in your best interest to research if the plans that you are looking to add to your residence require planning approval or not. Consequently, the most important question you should be asking yourself before anything is, Do I need planning permission for a side extension. Consider what your new building plans are going to do to your neighbors that live around you. It is important that you advise them of the plans to alter your residence. Also, be aware that the design of your alterations must be attractive to you, your neighbours and in harmony with the surrounding area before your planning approval will be given. Do I need planning permission is the first question you should ask yourself before having any type of construction related project carried out on your property. If you do not obtain permission to build for things that require permission, you could be in a lot of trouble if you go forth with the endeavor, just to find out it needed to be approved first. Determining what you need planning permission for will ultimately save you money and hassle in the long term. 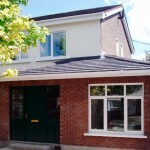 For example if a home owner did not ask himself Do I need planning permission for a side extension then went ahead and built a 2 storey side extension, only to be served enforcement by the local authority, He would be very sorry and wished he had indeed asked the crucial question Do I need planning permission.